Memory Joggers » What is Your Child’s Learning Style? I can remember looking at math word problems as a child, and feeling none of this made any sense. My dad, who was good at math, couldn’t figure out why I wasn’t getting it. I knew there must be some way to figure out those awful word problems, so secretly I drew pictures and “lo and behold, I got it!” I was always embarrassed and hid my little drawings. If only I’d known that I’m a Visual Learner and that it’s O.K. to draw pictures. I have to “see” the problem before it makes sense to me. I think everyone needs to know what type of learner they are. Look at these traits and see if you can figure out your own learning style and those of your family members. 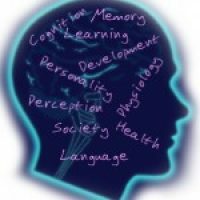 Read my article on ezine for a more in-depth look at learning styles.